Looking for an easy delicious dinner idea that’s ready in just 30 minutes? 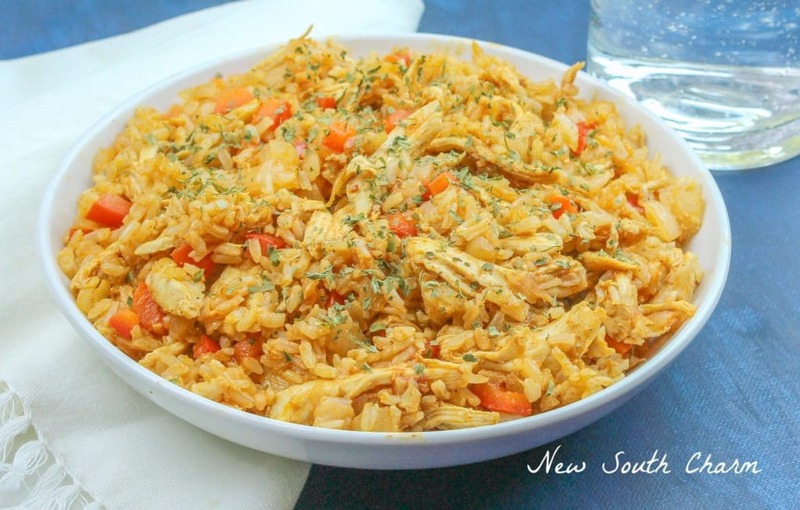 Then you’ll love this recipe for Instant Pot Cajun Chicken and Rice! I have a new love in my life and he’s all about instant gratification. Okay so maybe he’s not but I do have very strong feelings for my Instant Pot. I mean how do you not love a device that can cook almost anything in about 30 minutes! Thirty minutes is all you need to prepare this easy recipe for Instant Pot Cajun and Rice. 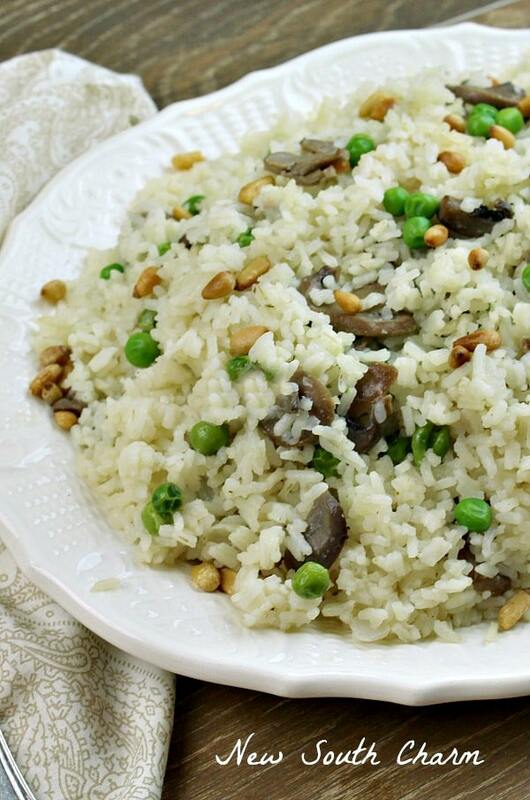 My secret for getting this recipe completed in just 30 minutes is VEETEE RICE. This fantastic product is microwaved or stir fried in just 3 minutes making it the perfect choice to help you get dinner on the table fast. 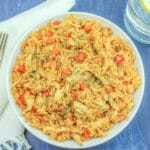 For this Instant Pot Cajun Chicken and Rice I used VeeTee Wholegrain Brown Rice. 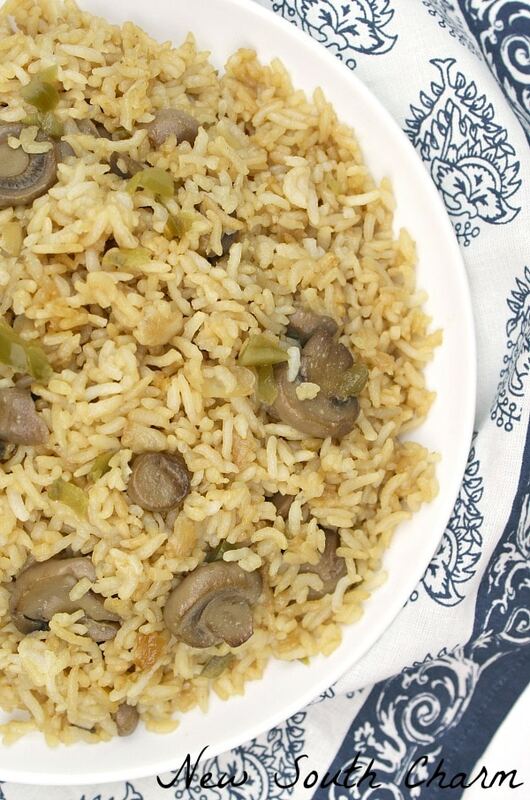 The nutty flavors in brown rice is the perfect compliment to cajun flavors. It’s also a healthy option if you are watching your weight or sugar in take. I’m still learning my way around the Instant Pot and it’s many functions but I’m a big fan of the ease and functionality! onion That means one less dish to wash and I’ll never complain about that, ever. VeeTee Rice is a great addition to your pantry and can be a lifesaver on busy days when you think you are too busy to cook. 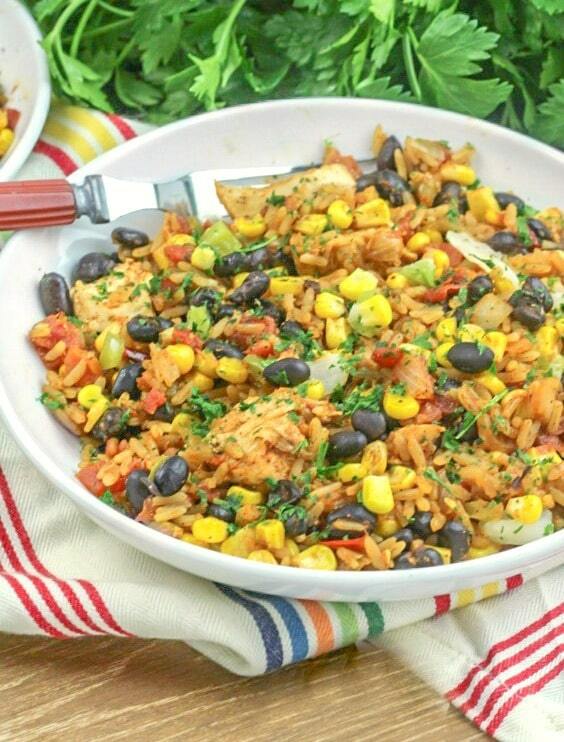 We always have a few packages of the Long Grain White Rice and the Spicy Mexican Rice on hand for fast dinners. 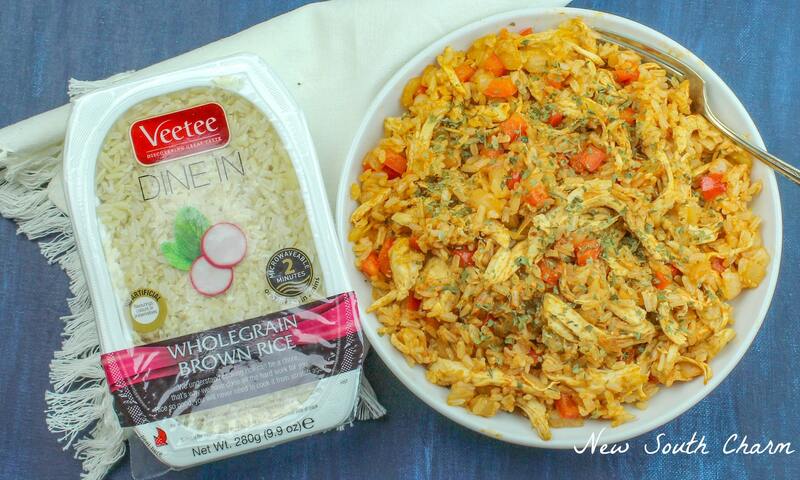 Trust me the next time you’re at the grocery store grab a few packages and give VeeTee Rice a try! Heat the Instant Pot using the Saute button just to get the pot started heating up. Once the display reads hot add the the chicken, onion, garlic and bell pepper, tomato paste, and chicken broth to instant pot and close lid and valve. Cook on high pressure for ten minutes. Switch the pot over to saute and then add the VeeTee rice to the chicken mixture and cook for three minutes stirring occasionally. 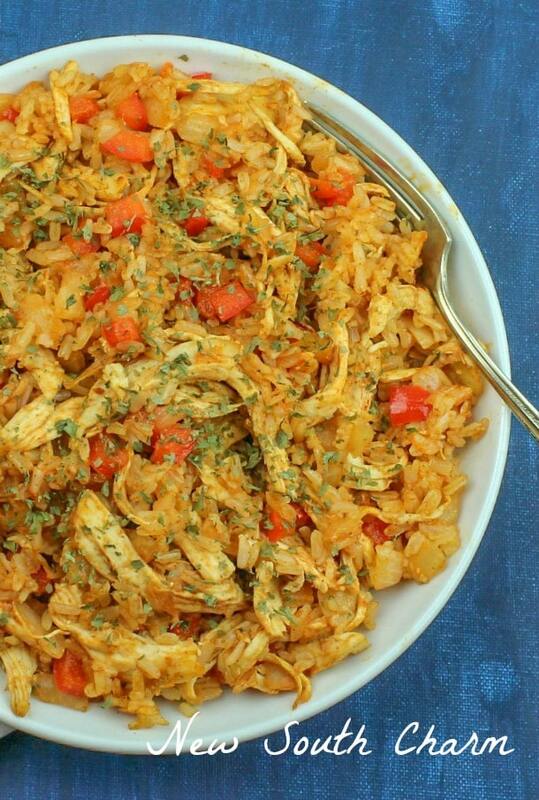 Looking for more EASY RICE recipes? I may have to make this very soon looks delicious-Hope you and your family had a nice Christmas-it is very cold here in Ohio.